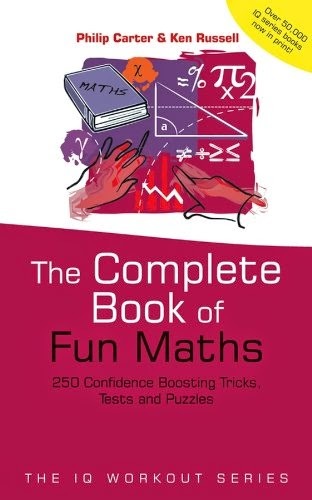 The idea of this book is to help build confidence with maths via a series of tests and puzzles. After a gentle 'warm-up' section, the puzzles and tests get progressively more challenging over the course of the book. There is a hints section for readers who get stuck, as well as a complete set of answers for every test at the back of the book. After the 'warm-up' section, there are puzzles and tests on 'lateral thinking', 'fun with numbers', 'logic puzzles', 'geometrical puzzles' and 'difficult puzzles'. Readers will soon become familiar and comfortable with a range of tricks and tests, from magic number squares to Fibonacci numbers.